Same PDFs in Alphabetical Order. JazakAllah for posting the books. Some of the larger size books (Bushra color) are corrupted. When you open the file and scroll to the end of the PDF, then the last few hundred pages are empty. 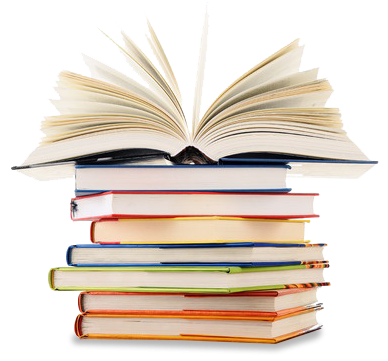 Books like Al Minhaaj Bushra color etc. 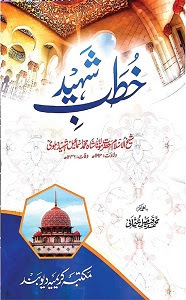 Jazakallah for mentioning this problem, I have noticed it as well, this problem seem to be occurring mainly in coloured versions of the books , for now the only solution is that where ever the black & white version of the same book is given please download that as B&W version are mostly not corrupted. ALL THE COLOURED VERSIONS THAT ARE CORRUPTED , ARE CORRUPTED FROM PAGE 148 ONWARDS LOOKS LIKE SOME SOFTWARE MAFUNCTION. Jizak Allah for posting these books. As I said earlier there is a special trend in the corruption of PDF files i.e. for coloured PDFs (which are corrupted, not all but mostly) pages after page 147 are corrupted and for B&W PDFs (which are corrupted, not all but a few) pages after page 195 are corrupted. The images of the corrupted files are there. I tried “photopus” software and was able to extract all the images from the corrupted files. I only tried for a couple of files.Try it in’sha Allah. Jazakallah brother tafeertudent for the tip, it worked, I shall make a small video soon to guide others how to fix their required books. Jazakallah akintl0 no doubt you have found the correct solution using photopus is sometimes a very long process and also increases the size of the file but this programme does the magic in seconds. I shall not be making any videos now. Please download the software from HERE. but remember this is not all of them. bhai, alphabetical order sy behtar woi tarteb hy jo excel file men hy coz wo wifaq k darjat k etabar sy hy, usy tabdel na karen…han,excel file men page-6/darja sadisa k links sahi nahi hen wo page-2 hi repeat hogya hy.ye kitaben shayad Zeeshan bhai ki uploaded hen, un sy kahen k barah-e-meherbani page-6 k durust links bhi dy den, bohat meherbani ho gi.jazakumullah khaira. السلام علیکم و رحمۃ اللہ و برکاتہ ! Sorry, not sure anymore as it is the same as Year 7 from the excel links. bhai darja sadisa k links ka kuch hoa?ap plz unko excel file men update kr dijye ga.
hazrat koi darse nizami ka student confirm kar ke bata day keh excel sheet mein no. 8 per darja sadisah nahein balkay uss se aglay darjah ki kutub hain aur darjah sadisah definitely missing hai. I used to have an excel file that had all the dars nizami books. It was very extensive and beneficial. The list led to download the books. Do you have the link or the file to that list? I cannot find it. Jazaakallaah. bhai aap ny sadisa ki kitaben upload kr k links faraham karny ka kaha tha, men muntazir hon…. Brother, volumes 3 and 4 are missing of Al-Hidaya from the Bushra edition? You did not put them online? come back sometime soon. I want to encourage you to continue your great posts, have a nice evening! A lot of times it’s difficult to get that “perfect balance” between usability and visual appeal. I must say you’ve done a great job with this.